Plainfield, IN July 9, 2014 Today the Islamic Society of North America (ISNA), the largest and oldest American Muslim umbrella organization, is deeply disturbed by recent news that the National Security Agency (NSA) had been active in the profiling and surveillance of American Muslim leader emails. According to the latest reporting by Glenn Greenwald, the Muslims featured in the article include: a former high ranking official with the Department of Homeland Security; a well-known attorney; the head of another Muslim organization; and several academics. These names come from a list of over 7,000 e-mails contained in the Snowden documents. The surveillance orders were from the 2002-2008 period. ISNA joined a wide coalition of other American Muslim organizations, civil and human rights groups and faith-based organizations who have sent a letter to President Obama requesting full public accounting of these practices and to strengthen protections against the infringement of civil liberties and human rights. The coalition also requested a meeting with President Obama, Attorney General Holder and FBI Director Comey to discuss the issue. 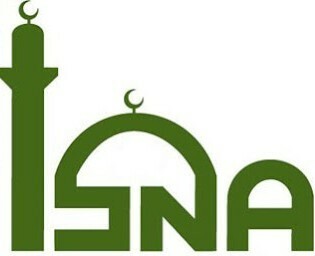 The ISNA report neglects to mention that two of the five individuals in question were heads of US Muslim Brotherhood organizations including the leader of the Council on American Islamic Relations (CAIR), an organization with a close relationship to ISNA. 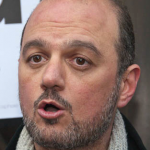 For example, in January 2010, the GMBDW reported that the newly elected ISA Secretary-General was a board member of the CAIR-Chicago chapter. Jamal Badawi, another long-time CAIR leader, has also been a CAIR official. Both CAIR and ISNA were named as unindicted coconspirators in the Holy Land Foundation Hamas terror financing trial. ISNA also fails to mention that it is a member of the American American Muslim Task Force (AMT) who leader Dr. Agha Saeed was another individual reported to be on the NSA list.